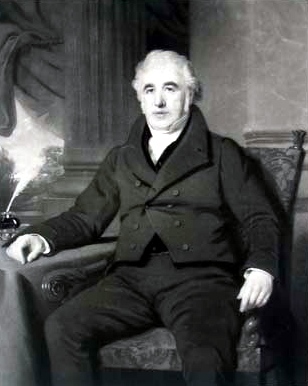 Charles Macintosh's father, a well-known and inventive dyer, moved his family from the Highlands to Glasgow in 1777 to set up a factory in Dennistoun. Although Macintosh worked as a clerk from an early age, he devoted all of his spare time to chemistry. Before he was twenty, he quit his clerkship to pursue chemical manufacturing full-time. He began by opening a plant in Glasgow that produced ammonium chloride and Prussian blue dye. In 1797, he opened Scotland's first alum works in Hurlet, Renfrewshire, after finding an alum source in waste shale from nearby coal mines. Macintosh made a considerable sum of money in the early 1800a after teaming with Charles Tennant of the St. Rollox chemical works to patent a process to make dry bleaching powder. The success of this bleaching powder (which was used industrially until the 1920s,) ensured that the St. Rollox works grew into the largest chemical works in Europe. In 1818, while Macintosh was analyzing the tar waste by-products of a nearby coal gas works, he discovered that tar could be diluted into naphtha - a volatile, oily liquid hydrocarbon mixture. By 1823, this study of naphtha had yielded a process to waterproof fabrics. This new waterproof material was introduced to the market in 1824 as Mackintosh - the name spelled with an unexplained additional "K". 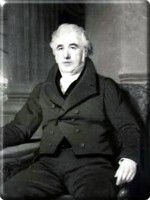 Macintosh founded his own water-proofing factory Glasgow in 1834, and then moved to Manchester in 1840 to further exploit his India-rubber products. Although Macintosh made other important contributions to the field of science, including methods to improve iron production, he became immortalized by his eponymously-titled raincoat.